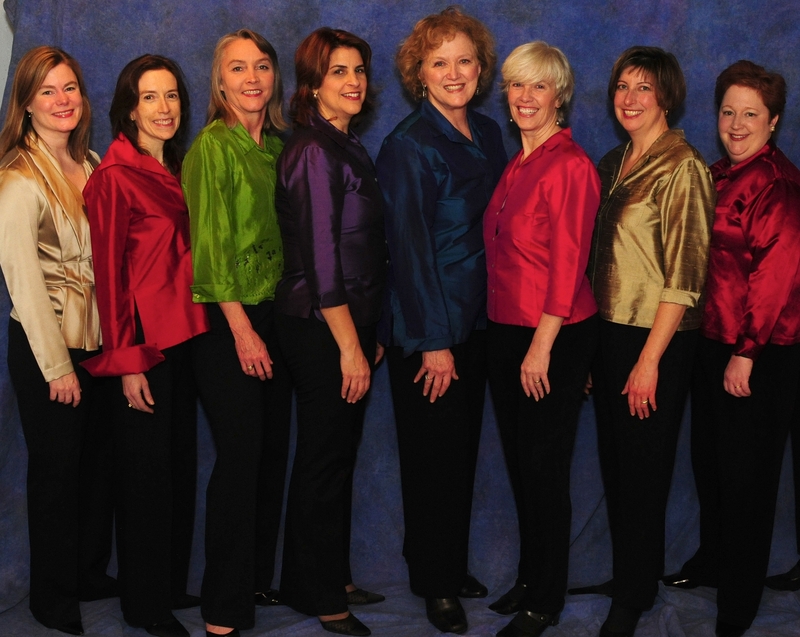 Venus d Minor members from L to R: Mary Shaffran, Kristin Bass, Betsy Erickson, Amy DeLouise, Robin Sloan, Dolores McDonagh, Beth Brummel (director) and Patti Gaston. Come hear the live concert of these songs and more Venus audience favorites on Saturday June 23rd, 7:30pm at the Garrett Park Town Hall, 10814 Kenilworth Avenue, Garrett Park, MD. Concert sponsored by the Women’s Club of Garrett Park. A portion of the proceeds will benefit the Betsy White Emergency Fund, created in 1969 for families who find themselves in urgent financial need due to fire, health or other family emergencies. Tickets are on sale for $10 in advance ($12 at the door). Seating is limited (only 50 seats left!) so order now while supplies last. Mail your check to Venus d Minor c/o B. Erickson, 9692 Farmside Place, Vienna, VA 22182. Or email us at venusdminor@gmail.com with your reservation request and a contact name and phone number and we’ll call you for Visa/Mastercard info.